It's not too often that I feel compelled to revisit a product on my blog. Most reviews I've done here are of products I've received in subscription boxes, where I write up a brief review of my thoughts in the short time I've used something, or a mask of some kind. 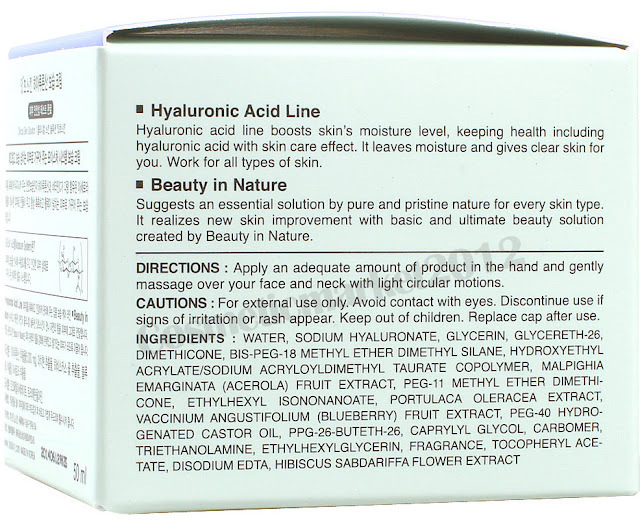 In this case, I decided to bring up a product I received in the "Winter Skin Revival" Memebox back in February - which is the Hyaluronic Acid Moisture Cream from It's Skin. I'm not one who commits to a moisturizer easily - I prefer to shop around and try new ones every chance I get because, lets face it, if it's not working out, why not try something new, am I right? Moisturizer and my oily acne-ridden have never gotten along. I briefly found pure argan oil to work well overnight, but after a while even that stopped "doing it" for me and I stopped using it completely. 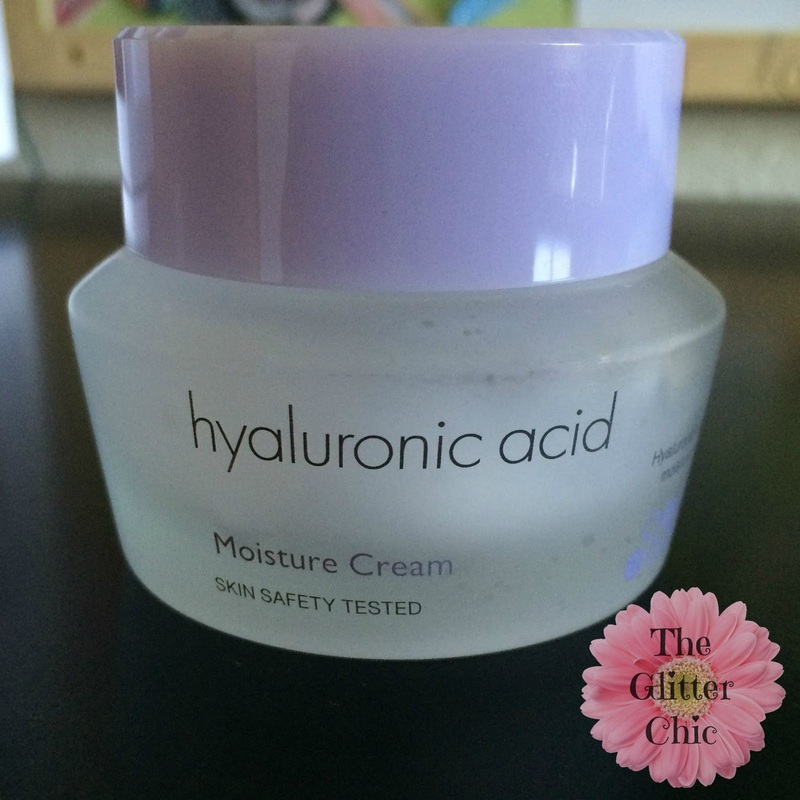 When I first started using this Hyaluronic Acid Moisture Cream I admittedly felt a bit underwhelmed by it, but continued to use it because it didn't seem to break me out. That's an instant win right there as far as my relationship with moisturizers go. 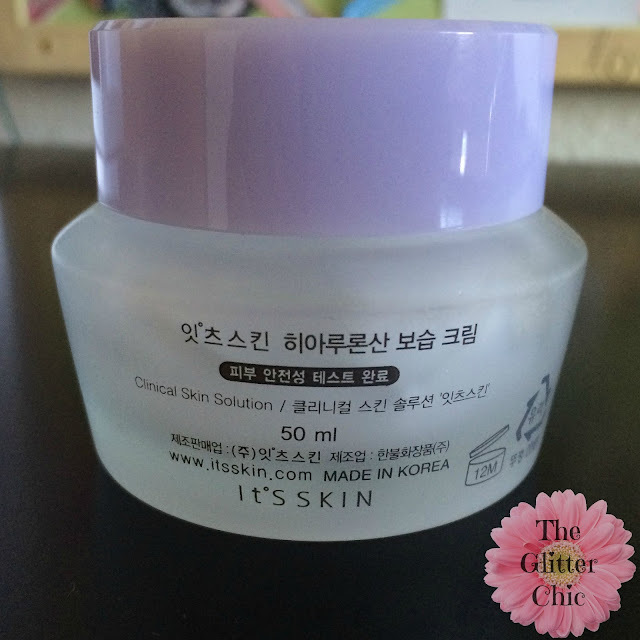 Since I cracked this jar open I've gotten a few other moisturizers and sleeping packs that I wanted to try, but the story with those was the same - I used them a few times and simply didn't like how they worked with my skin, and I'd return to the HAMC. It was roughly six months of using this cream on a semi-regular basis before I realized I'd nearly finished the entire jar. 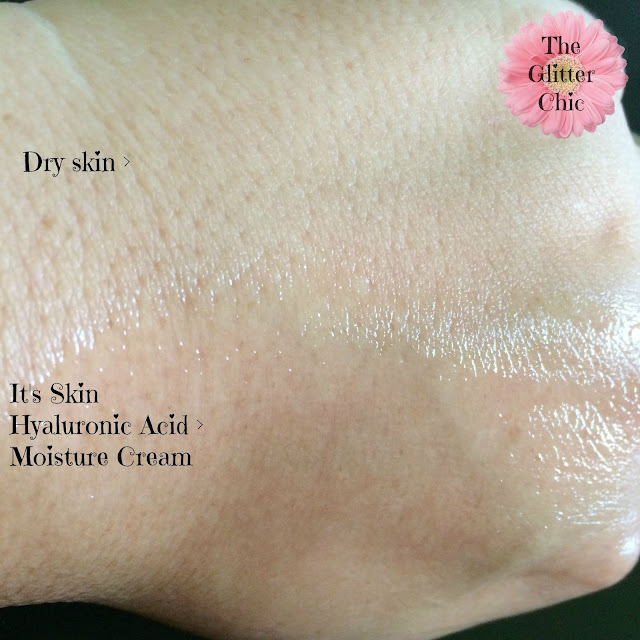 So what is it exactly that I like about the It's Skin Hyaluronic Acid Moisture Cream? ...absorbs quickly. ...has a perfume scent to it. ...feels light on my skin. ...comes in a jar container. ...provides light but lasting moisture. 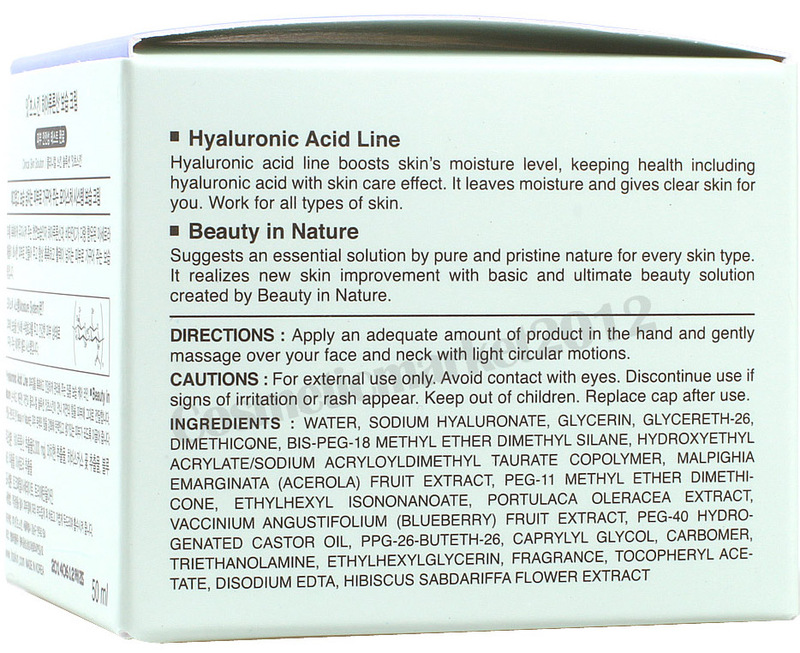 I also like that the ingredients list doesn't have anything too terrible as far as acne triggers or skin irritants, as far as the information I received when I plugged the list into CosDNA (a site designed to analyze product ingredients and give you an idea of what ingredients may cause potential harm to your skin, and what the ingredients contribute to the product itself). 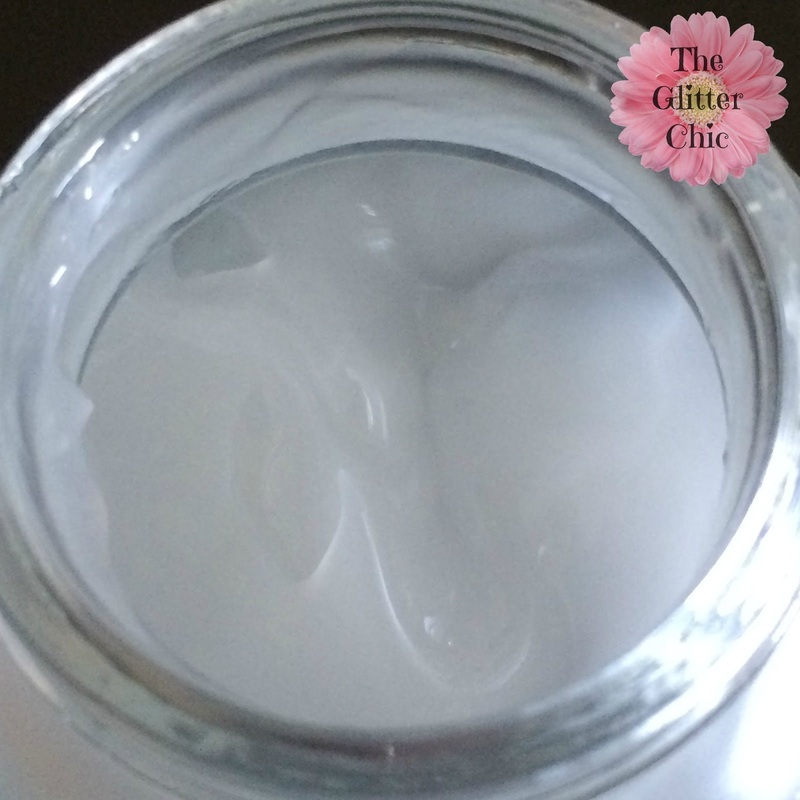 Dimethicone (a silicone-based moisturizer) comes up as a 1 out of 5 for a potential cause of acne, and Triethanol Amine (a pH adjuster) comes up as a 2 out of 5 - both fairly low. Carbomer (allows the oil and water components of this product to mix) comes up as a 1 out of 5 as a potential sensitive skin irritant, and is far enough down on the list where I don't see this being an issue unless someone knows they are sensitive to this. This is a great moisturizer that would work for any skin type. You can find the same 50ml jar at Memebox (if you live in the US) for $14. Or you can find it on TesterKorea for ~8,640won.